The other bad news is the only projects that will see a dime from the new bank are projects that have “revenue-generating potential” for the government’s private sector partners – a scheme to use public funds to subsidize and finance private infrastructure, in other words. 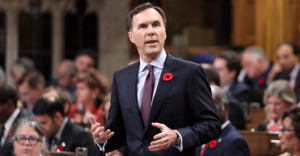 According to Finance Canada, much of the infrastructure spending will be privately-financed, with federal, provincial and municipal governments making up the difference. Details show the federal government’s contribution will be $35 billion, although since the bank will only invest in “revenue-generating” projects, Canadians will possibly pay tolls and other fees to use infrastructure their tax dollars helped finance. At the same time, the Liberal government says it will redirect $15 billion in previously announced spending that had been specifically earmarked for infrastructure projects relating to public transit, climate change, affordable housing and indigenous communities to projects that generate revenues for private investors. Other recent reports have suggested the Liberal government is also considering auctioning off public assets, like airports, to recoup costs. Unlike state investment banks in countries like Germany and Brazil, Canada’s newly created infrastructure bank will make investments in projects based on private rather than public interests. 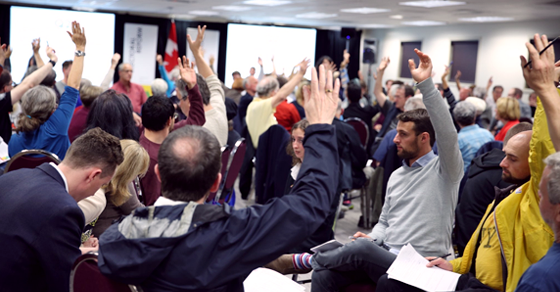 That means private capital now has greater influence on key policy areas like mass transit, affordable housing and environmental infrastructure – key promises from the Liberals’ 2015 election platform may not be implemented unless they return a profit for shareholders. 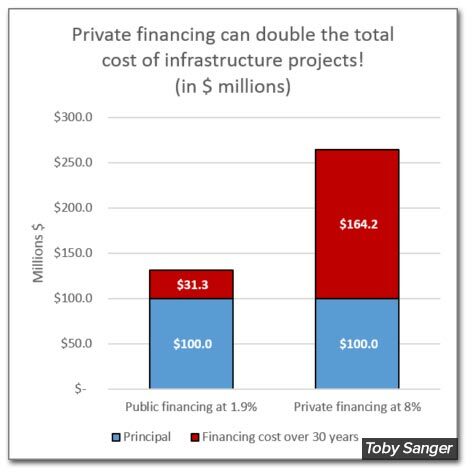 Another problem is financing infrastructure projects with private-led investment is usually more expensive in the long-run. Michael Sabia, CEO of Quebec’s Caisse de dépôts pension fund and one of Morneau’s own advisors recently gave a speech championing infrastructure investments for their “stable, predictable returns in the 7 to 9 per cent range with a low risk of capital loss” – suggesting the tab will be a lot bigger than if the government had made the investments itself. And if investors are looking for a “7 to 9 percent” return, that profit has to come from somewhere. But hey, at least our tax dollars will help private investors turn a profit. Looks like Canadians are hungrier for change than Justin Trudeau thought. 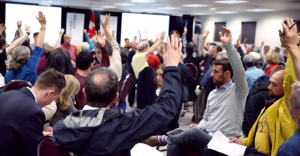 Earlier in October, Trudeau faced criticism for comments suggesting Canadians no longer had any appetite for change, leading many to conclude he was setting the stage to flip flop on his promise to bring in electoral reform.